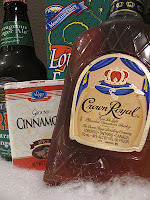 In December of 2011 we posted the recipe for the Dirty Santa. To this day it remains one of the most viewed recipes of all time on BATF. Which we believe makes it worth posting again! I'm so glad we have a photo of a real, bonafide Dirty Santa with one of our very own Beauties to accompany the recipe this year. Happy Holidays from the Beauties! xoxo. You heard me right. 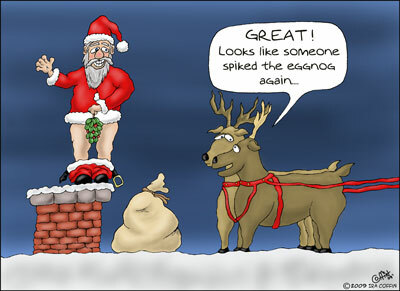 It’s a Dirty Santa. Named and created by my friend and hair stylist extraordinaire, Clara Senger, the Dirty Santa came into my life in a way that was hard to ignore. Unfortunately, I only have the luxury of seeing Clara every time my roots start giving me away as a fake blonde but she is good friends with one of my co-workers, Mackenzie, and one of my fellow daycare moms Amy. That’s like 1 degree of separation. Twice. Anyway, when both Mackenzie AND Amy told me on separate occasions that they’d had the BEST holiday drink ever, made by our very own Clara, I knew I had to get the recipe. After-all, she sure can mix a hell of a good hair color, why not a good drink? AND the name is funny to me too so there’s that. Note: when I went to Clara’s facebook page today, I noticed one of her friends posted this on her wall: “Color: perfect, cut: awesome, dirty santas: divine...thank you Clara!” Boy, these Dirty Santas sure do get around. It’s so good, you’d better watch out! 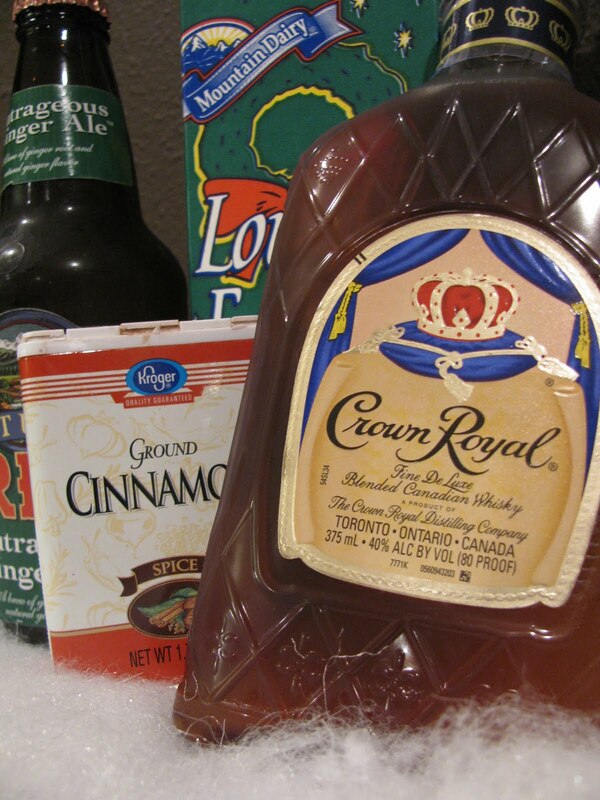 Pour 1 to 2 shots of Crown Royal over ice, add about 2 shots of eggnog, sprinkle cinnamon and stir well. Then add about 2 shots of ginger beer and stir again. The order is important so the eggnog blends and doesn't curdle. Adjust the ratios a little to your taste. I can’t ever seem to follow directions, so even though I read this a million times and was reading while I poured I still messed up the order. 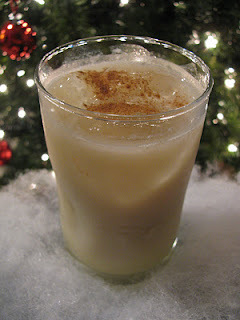 I think Santa sprinkled a little Christmas magic into my glass because the eggnog didn’t curdle! It was incredibly delicious. It’s definitely going to make it into my rotation of holiday drinks alongside Mulled Apple Cider and The Dark and Stormy. You do have the best hair cuts and color of anyone I know, so I'm already sold on Clara! I can't wait to get dirty with Santa! Best cocktail name ever and I love your comic - lol! This is freaking awesome and is now added to my list for the holidays. Since I do most of my drinking by myself, that should be easy to do. Ohhh yeah, definitely making this Christmas Eve.